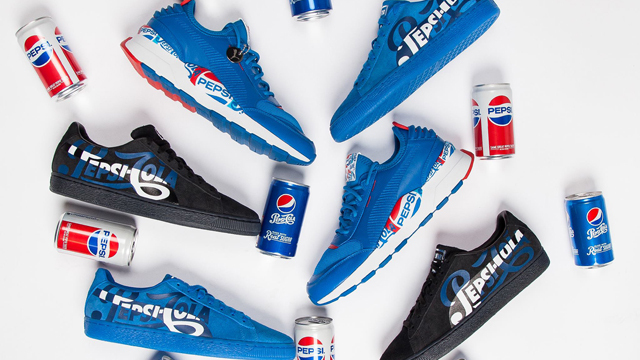 In celebration of the Puma Suede’s 50th anniversary, Pepsi and Puma have partnered up on this Cool Blue collection including a few classic kicks in equally iconic Pepsi-Cola colors. 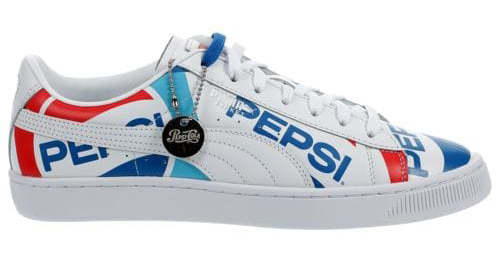 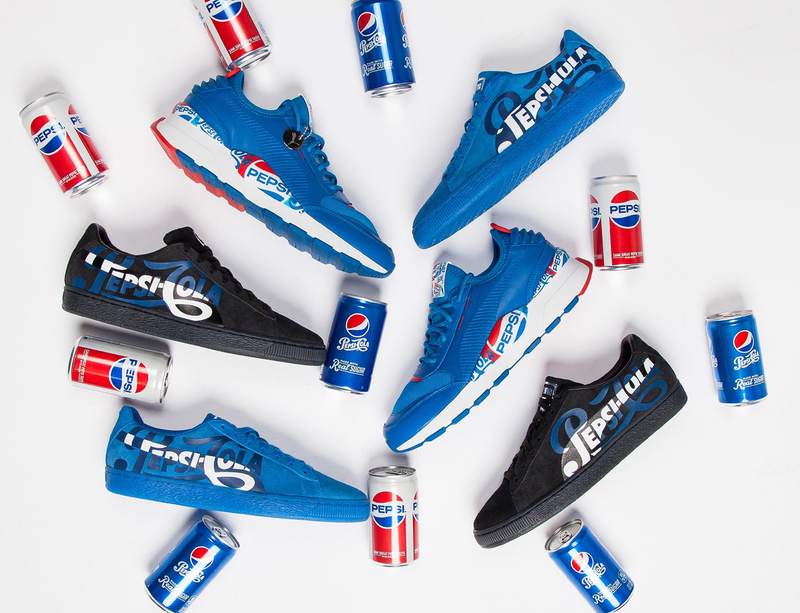 Bringing together Pepsi’s influence on pop culture from generations past and present, and the Puma Suede’s heritage in street culture since 1968, included in the capsule are royal blue and black colorways in the timeless Suede silhouette, along with other retro kicks like the leather Basket and RS-0 retro runner in Pepsi-Cola color schemes. 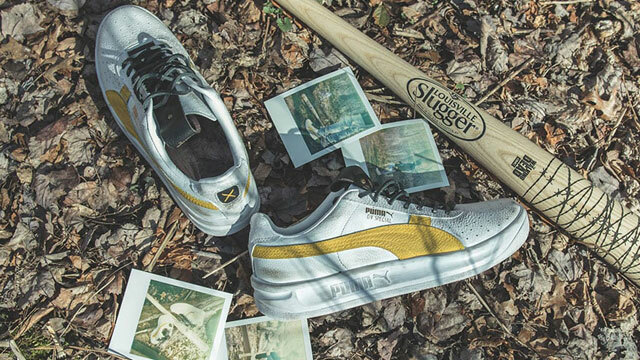 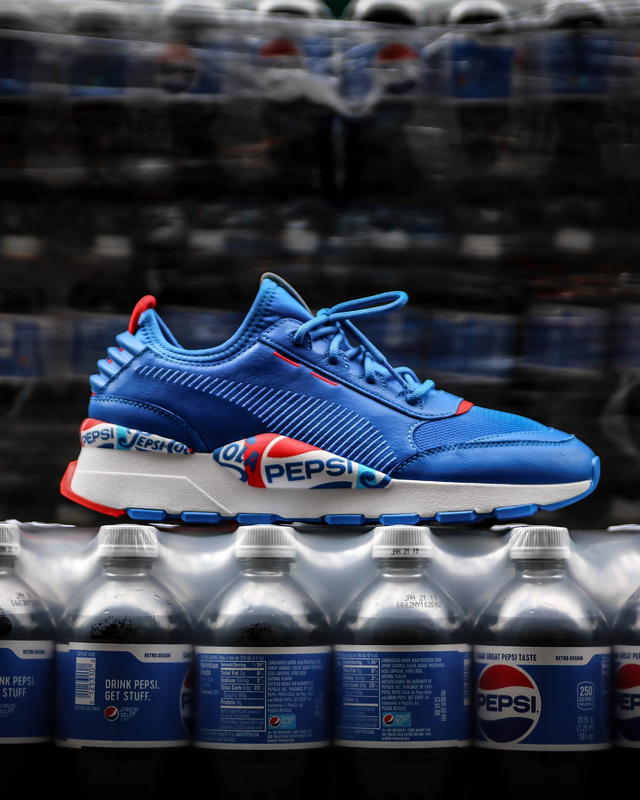 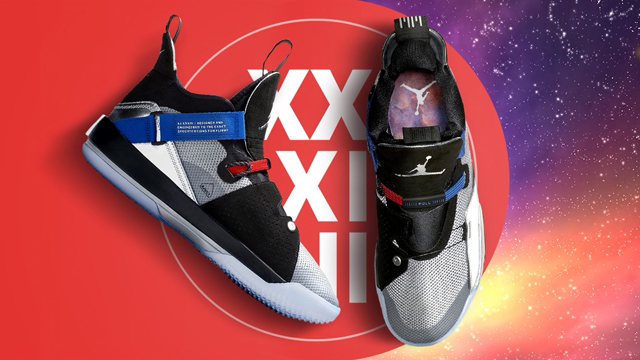 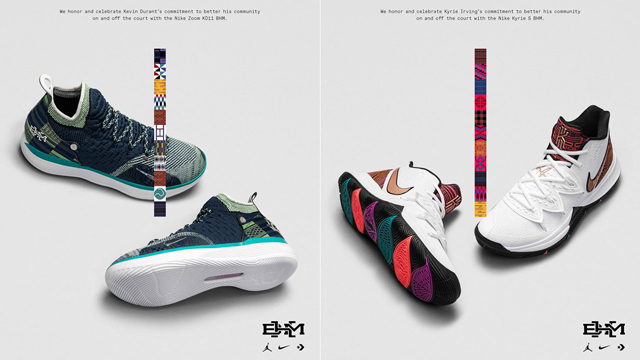 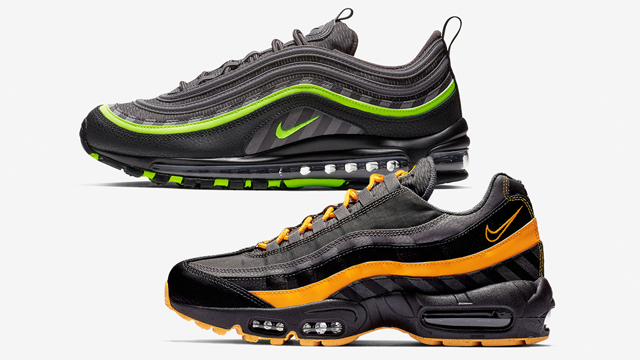 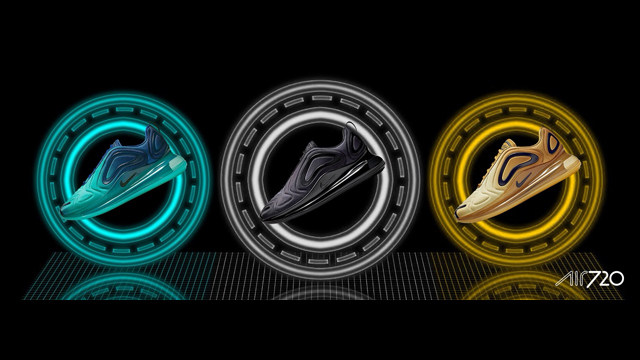 Scroll down to scope out this collaborative collection, along with links to where you can shop the Puma x Pepsi drop below.